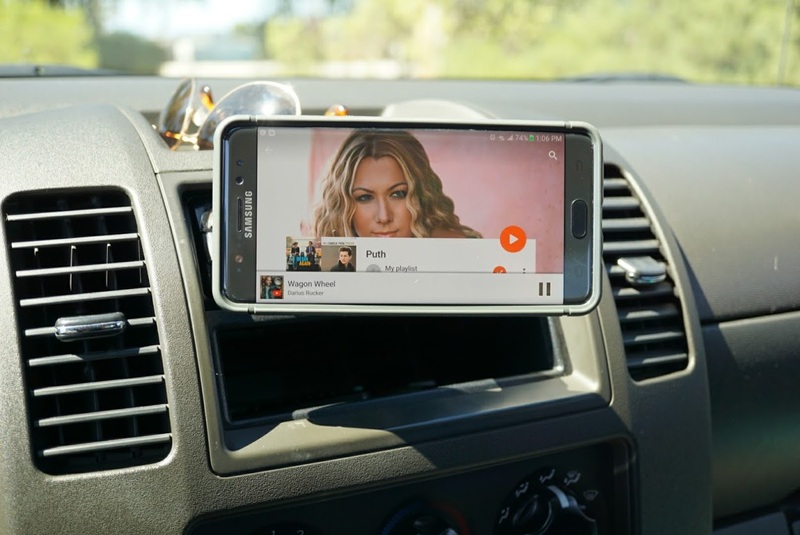 A couple of weeks ago I reviewed a smartphone mount for your automobile from GekoGrip. It was a modular magnetic vent mount that certainly met a high level of quality for a reasonable price. I can’t emphasize enough how dangerous it is to talk or text with your smartphone in your hand while driving. It’s against the law for a reason, and for your own sake you should obey the rules so you can make it safely no matter your destination. I’ve switched out my vent mount from GekoGrip for its CD slot mount for those of you who prefer to keep your air vents free of distraction. 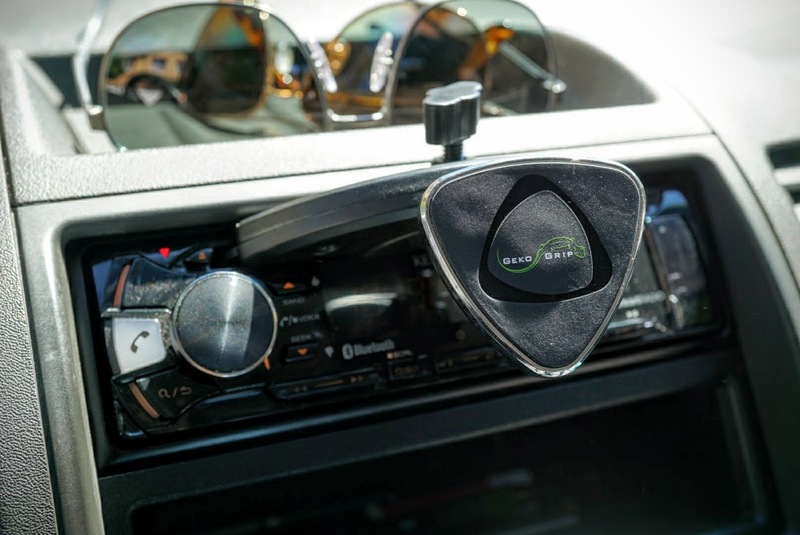 The GekoGrip CD slot mount is a solid option for those of you who want to keep your windshield free of distraction while giving your antiquated CD players a whole new purpose. 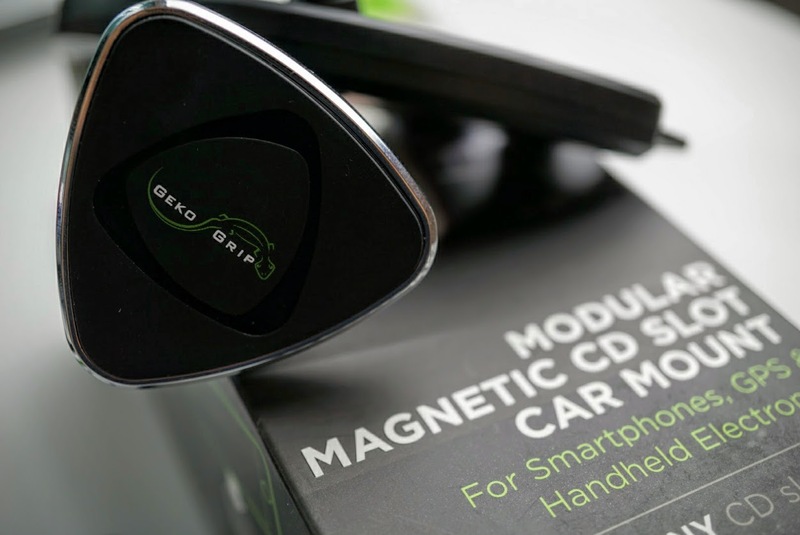 The GekoGip xM3 series modular magnetic CD slot car mount is just as its name describes – a cd slot mount designed to hold your smartphone in place while keeping you safe while driving. It’s designed to fit in the CD slot, without actually intruding into the CD player where the internals can be exposed to dust. It has a solid plastic build, which minimizes the weight while offering high durability. There is a screw on the bottom which leverages the center piece of the mount to grip in between the top and bottom part of your CD slot. When inserted into the slot and tightened down, the center piece moves several millimeters to position itself neatly in between the top and bottom of the slot. It doesn’t have unlimited range, meaning it won’t destroy your CD player no matter how tight you make it. Once tightened, which takes a matter of seconds, you can see the Gecko shaped magnetic head in the front of the CD slot that protrudes about 2.5 inches giving you access to the buttons behind it. If you still use CDs while you drive to listen to music, this isn’t the mount for you. You will always find yourself pulling it out to listen to a CD, but the reality is most people have gone away from compact disc technology. I tend to prefer this mount style over windshield mounts, as the latter can create blindspots in your field of view. Depending on the state you live in, some windshield mounts might even be illegal due to that distraction. Or they may be limited by where you can actually mount them to a windshield, like the lower left hand corner of your window. 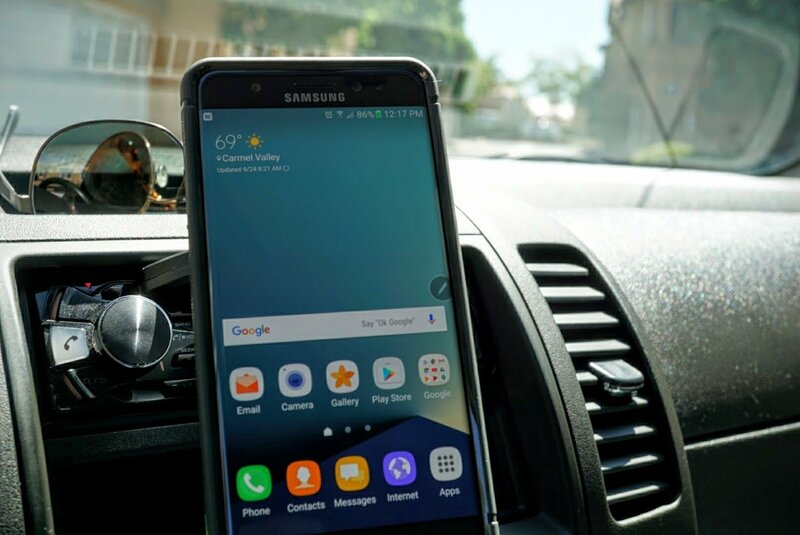 Failure to comply with proper windshield mount placement can result in an expensive ticket, or worse an accident which you will be at fault for. 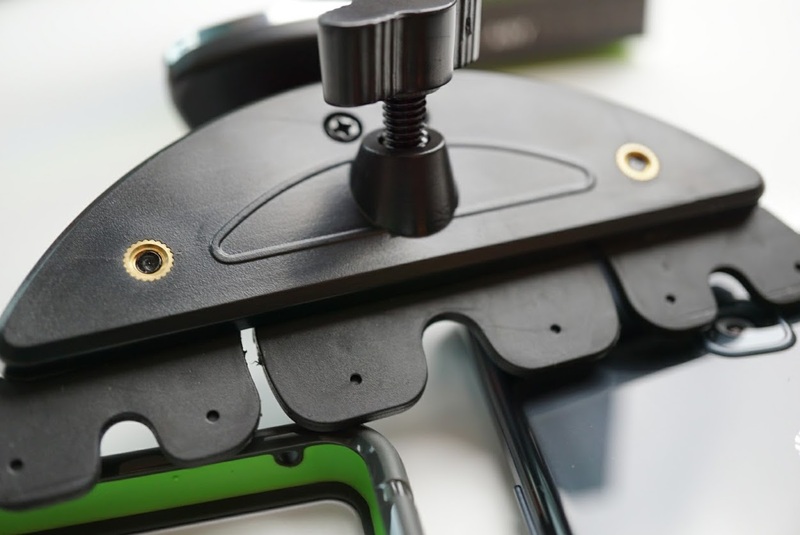 The GekoGrip CD slot mount offers two styles of magnetic attachment – one rectangular piece of metal for placing between your smartphone and its case, or the second is a very sticky circular disk for those of you who prefer to go case free. 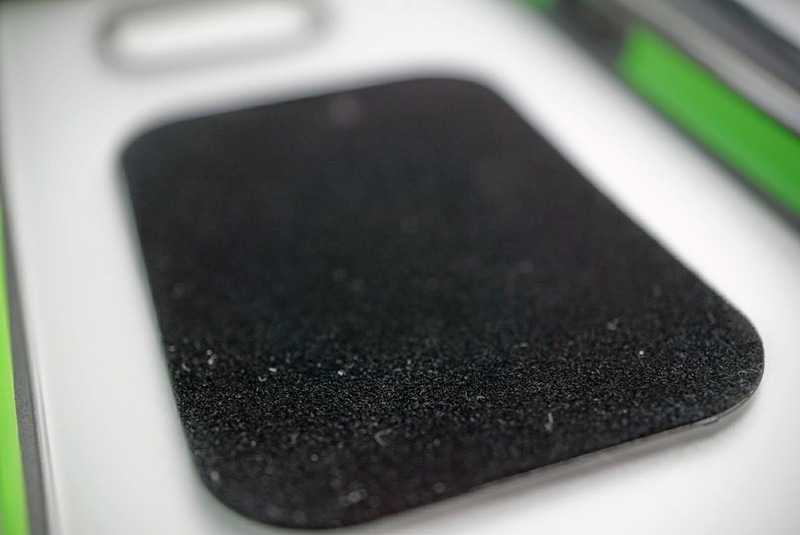 What I like about the rectangular metal piece for sandwiching between the case and phone is the ultra soft felt like material which prevents scratches on your phone. The magnet is strong enough to hold up to 300g of weight, which is more than enough strength to hold up heavier phones like my Samsung Galaxy Note 7 (169g) in a BodyGuardz case. 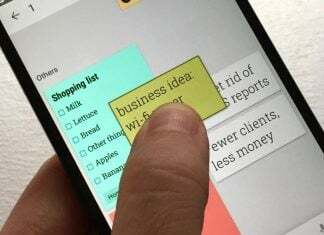 You’re also free to rotate your smartphone 360 degrees, giving you the freedom to position your device in whatever way you prefer. There’s a swivel too so passengers can turn the smartphone towards themselves if they want to help with the music selection or navigation. I particularly like this mount mainly because it is placed where the auto manufacturer decided the safest place for the radio would be. It’s not too low or too high, which may seem like a small detail, but it helps me keep my eyes on the road at all times. In a city like San Diego where we have millions of tourists each year who don’t always know where they are going, that little detail goes a long way in keeping me safe. It literally only takes seconds of taking your eyes off the road to get into a bad accident out here. The magnet is the same as found on the vent mount I reviewed before, which is strong enough to keep my phone in place even with my bouncy off road suspension and pot hole riddled roads in San Diego. This mount is ultra convenient because I never have to tighten my phone down into a mount, instead I just stick it to the magnet and get on my way. I am thoroughly impressed with GekoGrip’s CD slot mount. It’s built very well and will not damage your CD slot. 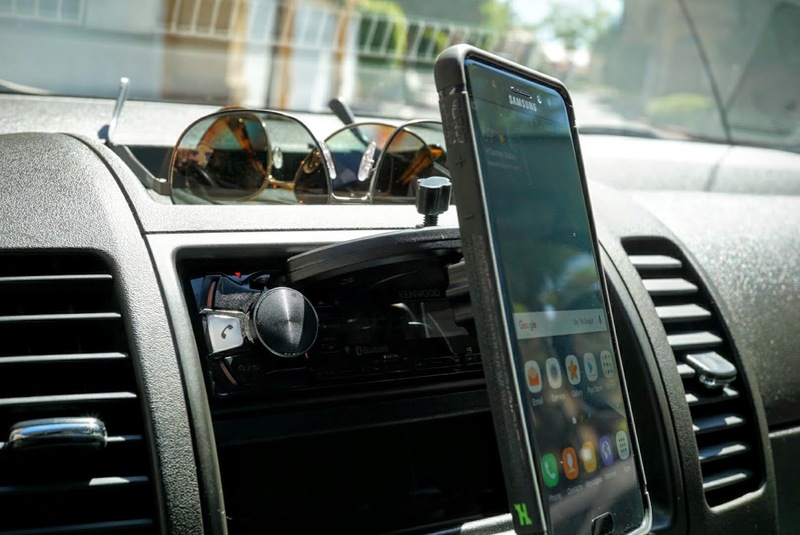 The triangular magnet is strong enough to hold any of my smartphones in place while keeping my windshield free of blind spots. Priced at $24.95 at Amazon, I can’t think of a more important investment in your safety for when you drive. Personally I don’t care if you get a ticket because if you are using a smartphone while driving you should consider yourself lucky. But I care about your safety first and foremost. $25 is a bargain if it prevents you from being injured or if it prevents you from injuring others. The stories of people crashing while driving distracted are real. There is absolutely no reason with today’s available accessories, for these accidents to occur. A death over a text message is just not worth it. 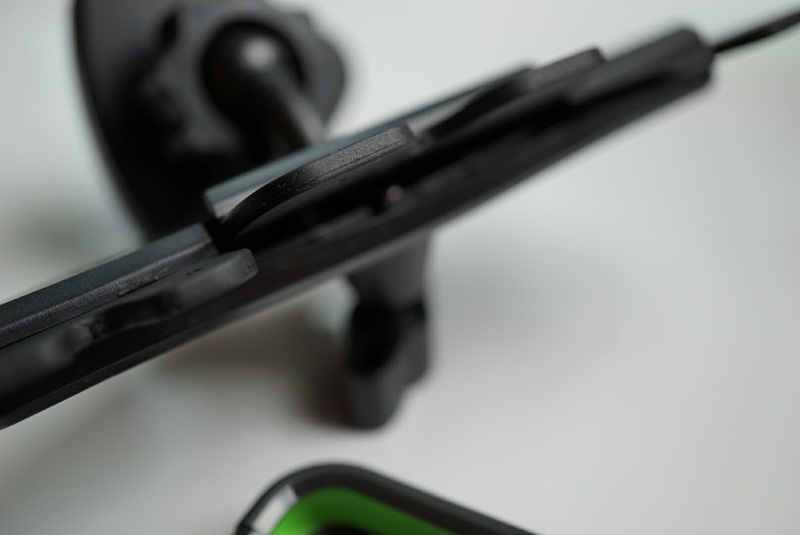 As we rely more on our mobile devices, accessories like the GekoGrip mount become even more important. If you don’t have a car mount, get one today. I highly recommend the GekoGrip xM3 Magnetic CD slot Car Mount where you can get it from Amazon with free Prime Shipping. If you would like to read my review of the GekoGrip xM3 vent mount, check it out in the link below. Be smart and stay safe.